Anyone with information is asked to call the Palmetto Police Department at (941) 723-4587. Police have arrested the man they say gunned down two brothers who were working at their father's convenience store on Monday, NBC affiliate WFLA reports. Detectives arrested 25-year-old Devin Chandler in Tampa Tuesday. According to police, Chandler entered the Snappy's Mart and Grocery store in Palmetto, which is roughly 20 minutes north of Sarasota, and gunned down the store owner's two sons, 23-year-old Khasem Yousef and 17-year-old Faares Yousef. 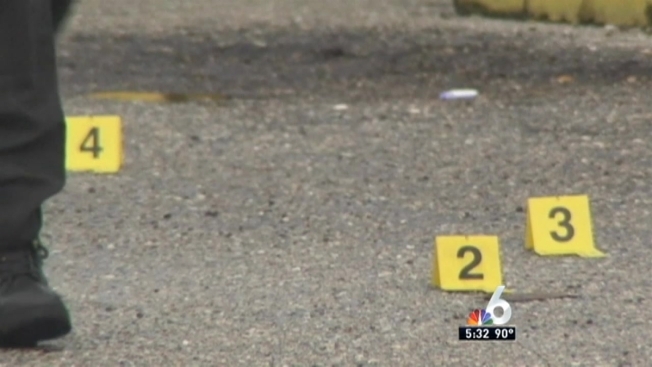 Authorities told WFLA that the victims "didn't see it coming." The brothers were working the front counter when Chandler walked in and shot them both in the head "execution style." Surveillance video shows the suspect robbing the store of an undisclosed amount of cash. Police believe the shooting occurred between 2:30 p.m. and 2:45 p.m. on Monday. Chandler, has previously served time for armed robbery, according to police records. Warrants were issued for Chandler's arrest, and authorities intend to charge him with two counts of homicide and one count of armed robbery. Anyone with information is asked to call the Palmetto Police Department at (941) 723-4587, or Manatee County CrimeStoppers at (866) 634-TIPS, or text MCSTIPS plus the message to 274637. A funeral for the Yousef brothers will be held Tuesday in Tampa.